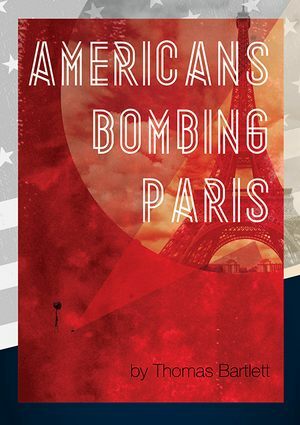 Americans Bombing Paris is a contemporary romantic thriller unlike any other. It takes place in 2002 with the world as usual on the brink of another catastrophe. Johnny is trying to orchestrate his own personal catastrophe by organising his friends into a group of non-violent terrorist protesters. None of the group seem able to grasp or avoid the consequences of their actions nor the far reaching echoes. However when Johnny meets Naya the swirl pauses and they stand embraced amidst the increasing chaos. None of this is to say that anyone makes the right decisions or avoids the inevitable. In the end, as the world mirrors the actions of a small group of friends in Paris, ABP takes us barrelling through the city in a desperate race to save Paris and the two lovers. A romantic political thriller, with everything on the line, and nothing for certain. ABP will make you laugh and cry, salivate and reflect. Americans Bombing Paris is at once a long languid tour of Paris and a sprinting passionate love story lived in the shadow of our world once more intent on destroying itself.